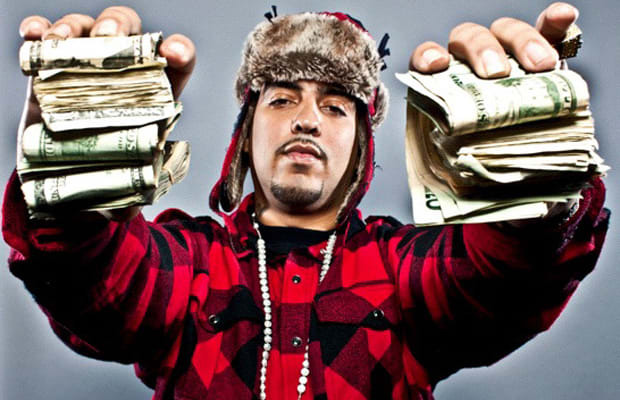 While appearing on 106 & Park last month to debut his "Shot Caller" video, French Montana and Diddy announced that the Bronx rapper was officially signing to Bad Boy Records. And so another star is born—but half the story has never been told. It's been a long road to the top for Karim Kharbouch, who was born in Rabat, Morocco, and came to America in 1996, landing in the Bronx with his mother and little brother. Ten years ago French launched the "Cocaine City" DVD series, which helped the aspiring rapper establish his name in the streets. His rap name is a combination of his French/Moroccan heritage and Tony Montana from Scarface. Surviving a close brush with death, French overcame a gunshot to the head to rally back even stronger than before. French eventually landed a deal with Akon's Konvict imprint, but when that situation stalled, his team began fielding a flurry of offers and counter-offers from some of the biggest names in rap. With Boy and the Maybach Music Group, he believes he has found the perfect combination. Just before the holidays French and his team stopped by Complex HQ to give us the lowdown on his recent collabo with Waka Flocka, his freshly minted deal with Bad Boy/MMG, and what the future holds for Young French.